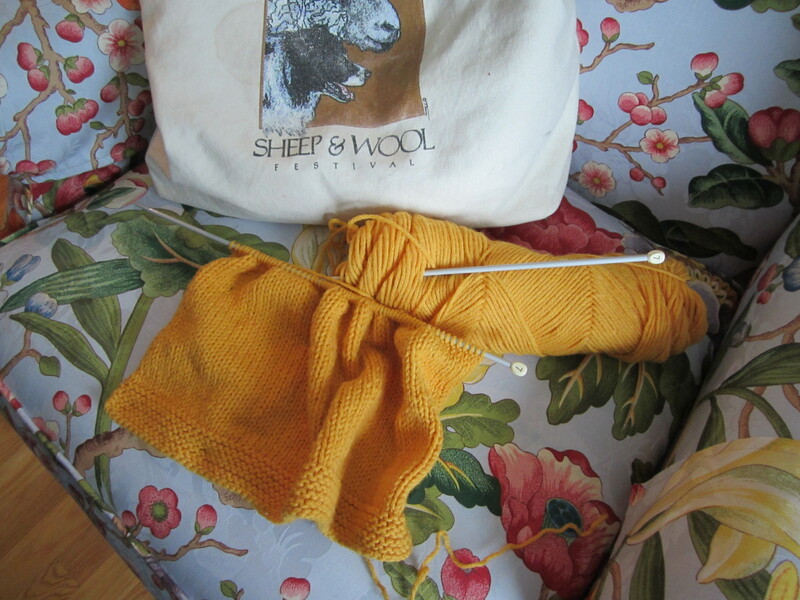 Writing and Knitting | Does This Font Make Me Look Fat? This entry was posted in Christmas, Knit for Kids, knitting, Memoir, Personal, Revision, Script Writing, The Santa Diaries Movie, Writing and tagged Knit for Kids, Laura Ambler, Mala Burt, The Santa Diaries, writing resources by Mala Burt. Bookmark the permalink. The Knit for Kids link has patterns for sweaters, baby caps and blankets. I scour thrift shops for yarn. Lots of my sweaters are striped. Mala, do you ever need sleep? I take naps almost every day. I hate sewing sweaters together too. I almost exclusively do a top-down seamless raglan now, no sewing required. I would love a kids pattern that didn’t need sewing. I think I’ll email Knits for Kids and suggest it. There have to be other people like us who hate the sewing it together part. Aren’t you forgetting Tim Allen’s successful “The Santa Clause” movies? He made three! What about “It’s A Wonderful Life”? Yes, there’s Donna Reed, and she’s adorable, but it’s Jimmy Stewart’s movie every step of the way. Lots of guy leads in Christmas movies – Bill Murry in “Scrooged”, Billy Joe Thornton in “Bad Santa” for a few more. Apparently Hallmark and Lifetime channels aren’t digging the male lead in a Christmas movie, but they are out there and popular. BTW cleaning out my yarn stash in preparation for the move in April, do you use DK weight in acrylic? I might have some, shall I look? You are right about those male leads, but we are writing for Hallmark and Lifetime. 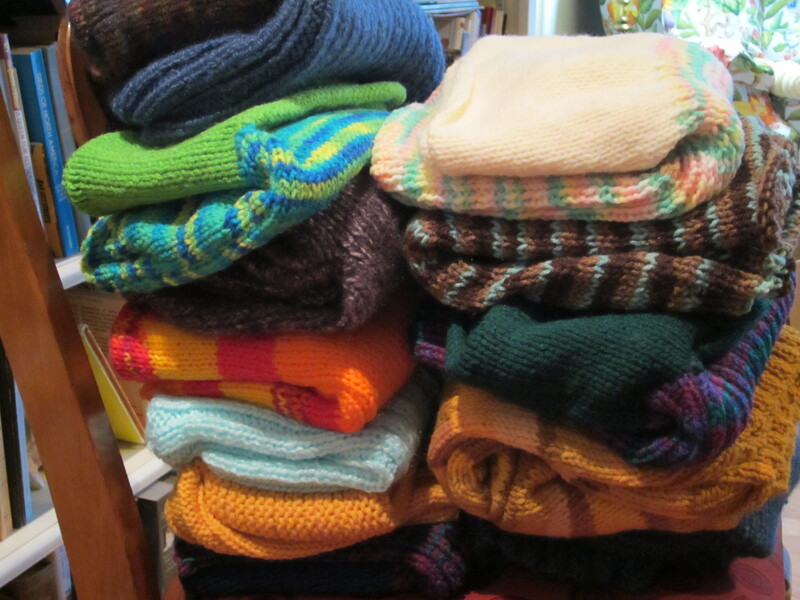 All the sweaters I knit are acrylic so any odds and ends you have would be appreciated. Persistence always pays off eventually. May all your Santa dreams come true!